“I made it because of my admiration for Julianne Moore,” writer/director Sebastián Lelio has said, as to what went into deciding to remake his own acclaimed 2013 Chilean film, about a 58-year-old divorcee named Gloria who loves to dance. “She has the mythical Hollywood element, but that doesn’t compete with the everyday woman dimension – she is able to incarnate both.” And it’s true, that Julianne Moore is timeless. She’s made a successful career in portraying a slew of unforgettable female characters, not simply cherished because they were portrayed by a household name, but because many of them they feel like they could be any of one us. Julianne Moore evokes a humanity that many actors can’t as successfully unearth from underneath the gleam of their own A-lister status. Other actors are simply celebrities playing normal-person dress-up – Julianne Moore is always real. And Gloria Bell is just another real person. She’s a middle-aged woman working a soulless office job, with two grown kids bereft of any true direction in their lives, an estranged ex-husband whose existence skirts precariously on the sidelines, and a new boyfriend who can’t handle the trouble in his own life, much less in Gloria’s. As it is with real people, their stories are not wrapped up neatly in ribbons and a heartwarming anecdote about the power of staying true to yourself. They end in heartache, in disappointment, and in loose ends that will persist untied for an indeterminable amount of time. Sometimes, they will persist like that forever. But when Gloria isn’t succumbing to the troubled reality of her life, she’s succumbing to 70s pop tunes on the dance floor. She frequents clubs for older people where she sways by herself or drinks alone at the bar, occasionally opening up to a partner but always coming back to swinging solo. That’s until she meets Arnold (John Turturro, in what feels like an unexpected turn as a love interest), who ravishes her in a way that’s surprising to the both of them, both divorcees with two kids still “trying to figure things out”. Gloria’s son, Peter (Michael Cera), has a baby with an absent, soul-searching woman named Rachel, (Peter repeatedly mentions having no idea where she is), while her daughter Anne (Caren Pistorius) leads yoga sessions and has begun dating a surfing Swedish man. Gloria’s husband hasn’t been in the picture for about twelve years, while Arnold is just fresh out from his marriage with only one year under his belt. The two form a fast, intimate bond. Arnold is a pro-gun, ex-Marine who owns a kind of recreational amusement park, complete with paintball guns and bungee jumping. It all clearly sates Gloria’s desire for the free-spirited path that she so craves – if only she weren’t burdened by the looming complications of her real life, much less Arnold’s. 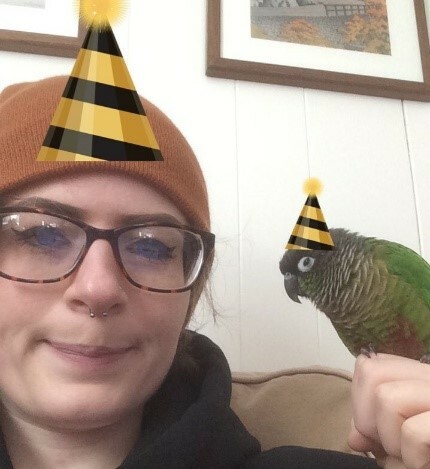 Her children are not as warm to this idea of their mom dating a new man they hardly know – which feels odd, since Gloria hasn’t been married for over a decade – not to mention, her upstairs neighbour is complicating her sleep schedule with his nightly nervous breakdowns. And though Arnold is clearly seeking in Gloria some sort of new-leaf-turn, since dropping from 280 pounds through gastric bypass surgery and becoming what he evidently views as “a new man”, he is still inexplicably beholden to his ex-wife and two unemployed adult daughters, both of whom rely on him for a constant influx of money. When any three of them call him on his cellphone, he answers – no matter where he is, or who he’s with, and it provides Gloria with a viewfinder into his life which is more problematic than she initially realised. 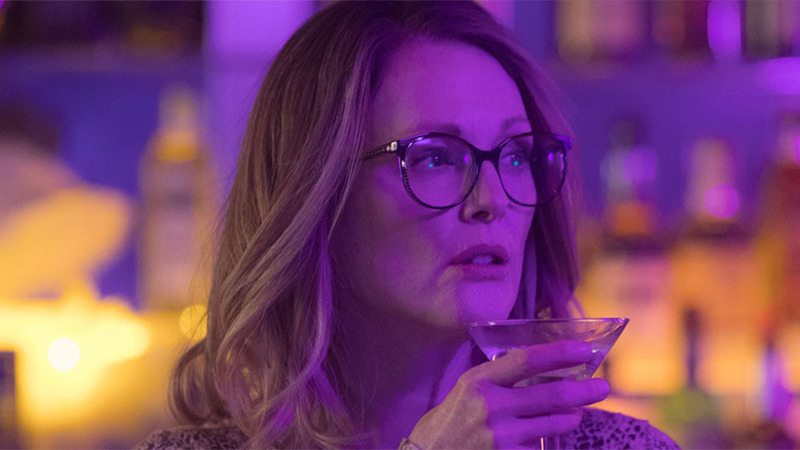 At the risk of sounding cliché, Gloria Bell is a “slice-of-life” film in the truest sense. It has a sense of defined narrative structure, sure, with a beginning, middle, and end, but it feels less like a completed story and more like a voyeuristic glimpse into the lives of these people who we will never fully understand. Minor plotlines conclude unfulfilled, or unfold still burdened by questions and uncertainty for an unknown future. Characters disappear with unresolved conflict in Gloria’s life, but it never feels like the story has been written sloppily or carelessly – that we were ever truly supposed to know where these characters end up. Everything in Gloria Bell is imbued with intention, and the absence of closure for multiple characters furthers this “slice-of-life” idea. A real glimpse into someone’s life will leave you disappointed, and Gloria Bell is truly a small window into the sheer vastness of Gloria Bell herself. But for a movie with such loose narrative bindings, its visuals are often breathtaking, gifting you with a haze of blues, pinks, and purples swimming before your eyes long after Gloria has done her last dance. There’s a particularly enchanting shot of Gloria riding up an escalator in Las Vegas, evocative of a disillusioning dream, bathing Glora in a smattering of sparkling lights from either side that twinkle about her like diamonds. Julianne Moore is delightful, sad, and, most importantly, so strikingly genuine and down-to-earth despite her ageless beauty, and she has sweet chemistry with her counterpart in John Turturro (it was fun to remember halfway through the film that they were both in The Big Lebowski). However, it’s hard to say it feels “correct” or “normal” to see Michael Cera play a father character, even though Cera is thirty years old and is technically an “adult”. Director Sebastián Lelio has a clear fondness for Julianne Moore, evident in the way he immerses her in beautiful shades of indigo and fuchsia, but he takes care to make it clear that Gloria is the same as any other woman. She’s just another face in the crowd, patron at the bar, or body sashaying on a dancefloor, but hers is the story we’re focusing on for the next hour and forty-two minutes – the window we’ve been given a glimpse into. Gloria Bell is not a monumental achievement in cinema history, but it is a sweet film about an older, single woman, falling in love with someone whose life is even less figured out than hers and wondering how to navigate each day because of it. Of course, at the end of it all, Gloria Bell just wants to dance; and if she dances by herself, that doesn’t mean she’s dancing alone.